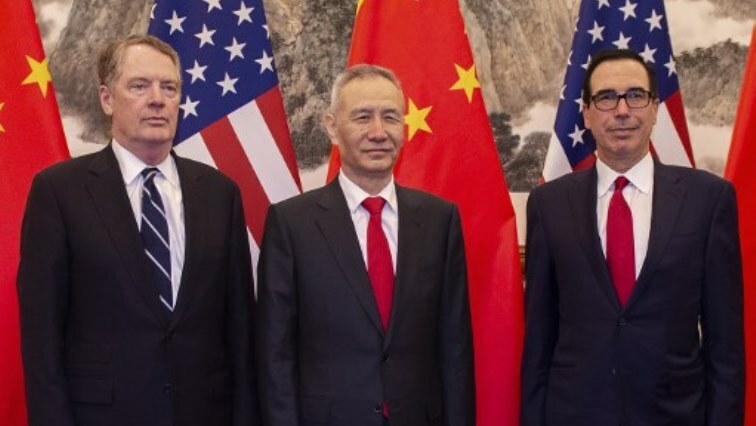 US Trade Representative Robert Lighthizer and Treasury Secretary Steven Mnuchin were greeted by Vice Premier Liu He at the Diaoyutai State Guesthouse as the three men seek to resolve the long-running trade war between the world’s top two economies. “It’s a pleasure to see you again,” Mnuchin told Liu as they exchanged pleasantries before Friday’s meeting. In Washington, White House economic adviser Larry Kudlow said Thursday the talks were not “time-dependent” and could last weeks or even months if necessary. The talks are “policy and enforcement dependent”, Kudlow said. The Chinese commerce ministry said a “large amount of work” remains to be done and Liu will travel to Washington next week for another set of negotiations. “We have to see what the track record is and we’re not going to give up our leverage,” said Kudlow. “It doesn’t necessarily mean that all the tariffs will be kept in place, some of the tariffs will be kept there,” Kudlow told Bloomberg TV. The truce reached by Xi and Trump in December called for “reaching a deal as soon as possible in the direction of mutually cancelling the punitive tariffs slapped on by both sides”, Cui said. The post US, Chinese negotiators resume ‘productive’ trade talks appeared first on SABC News – Breaking news, special reports, world, business, sport coverage of all South African current events. Africa's news leader..